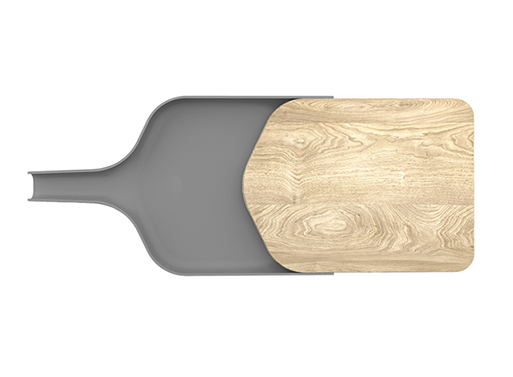 Now, isn’t this a convenient cutting board? 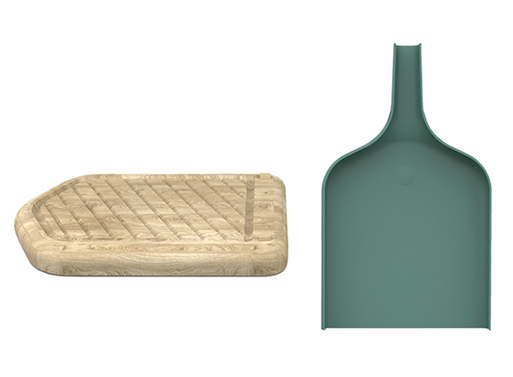 Designer Alain Gilles’ All On Board is a wooden cutting board just like your others, yes, but it rests within a useful plastic scoop. 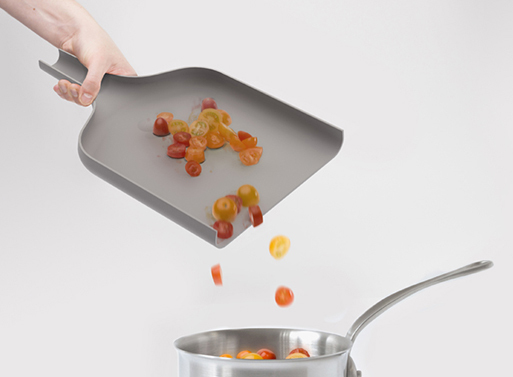 This scoop slides along the board, allowing you to separate food from their scraps for easy disposal and move ingredients directly from board to pan. 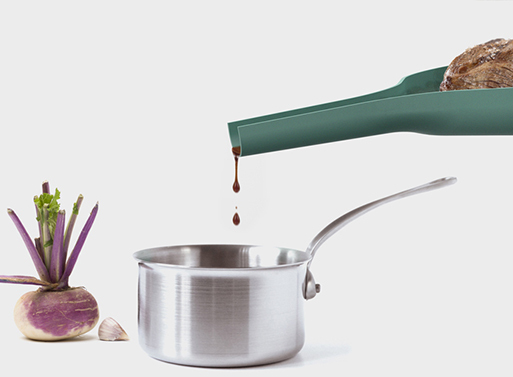 The funnel-shaped handle acts as a pouring vessel for juices or stocks- handy for those ‘au jus’ dishes, right?